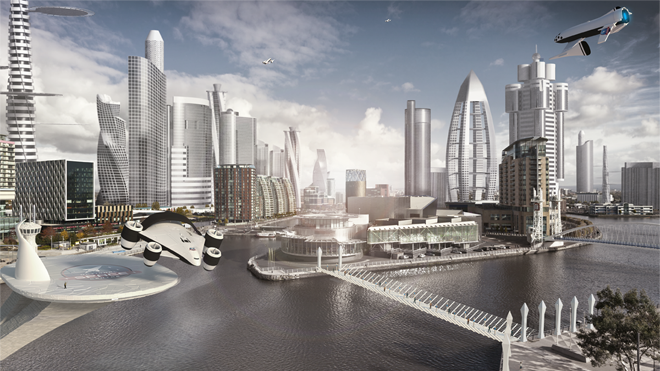 How might space travel change our cities? If sci-fi films of the past were right, we should have all been jetting off on holiday to Mars this year. 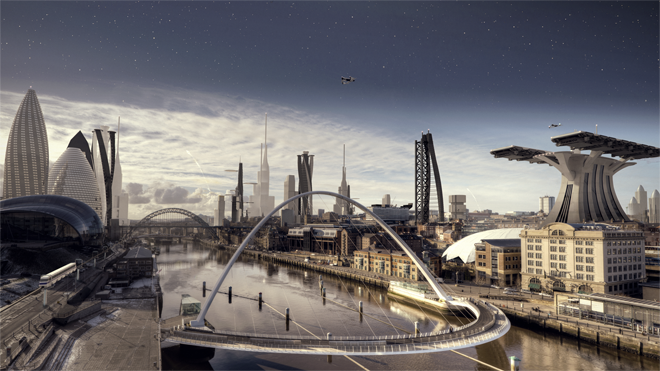 Unfortunately, that’s yet to happen, but how will our cities be changed when commercial space travel becomes the norm? 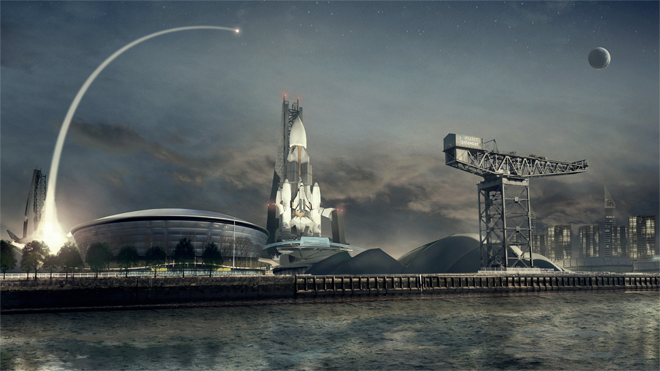 The National Space Centre has teamed up with Activision to show how some UK cities might be changed by space travel in the future. While we’re probably not going to be interstellar hopping like in Star Trek any time soon, the ability to explore our local area of space is likely to have a dramatic effect on the future of cities on Earth. And it could be coming sooner than expected. “We are already starting to see some ground breaking changes, from 3D printed rocket parts to cheap, reusable space planes,” Josh Barker, a representative from the National Space Centre, said. As these space exploration companies expand and start making regular commercial flights, it has been predicted that cities across the world will have to adapt to accommodate rocket launches and landings to make space travel accessible for all. Plans for a UK spaceport by 2018 are being seriously investigated, with eight locations shortlisted already. “As the business of space travel changes we are starting to see new markets ease their way into the industry,” Barker added. Reusable spacecraft, such Virgin Galactic’s SpaceShipTwo, are one of the next big steps required to make affordable space travel a reality. 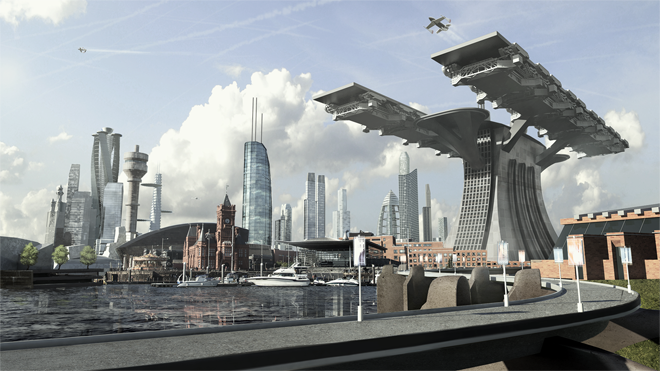 Currently at best, spacecraft are only partly reusable, but making the whole thing able to be used again could bring down the cost of space travel and make these images of future cities a reality. 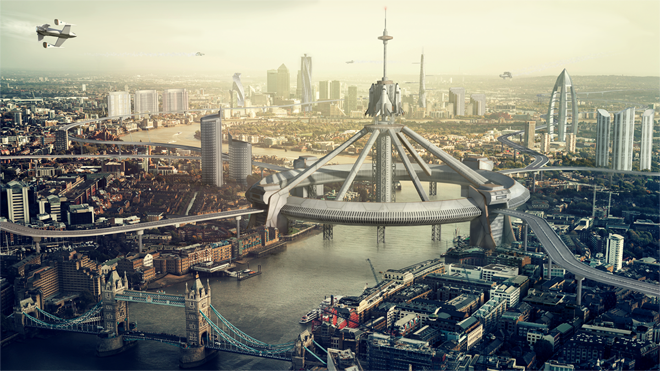 The problems that have engulfed London, as the city looks to find viable space for a new airport, should be noted by those in the space travel industry. Once a fairly unattainable mode of transport, commercial air travel was initially served by airports lying well outside of city boundaries where land was more readily available. However a drop in price made flying a genuine option for millions more people, in particular, the numbers of workers flying internationally on business matters dramatically increased. These developments soon meant that there was a need for more convenient arrival points for flyers, hence the creation of London City Airport – situated in almost the heart of the city – and the suggestion by the Mayor of London, Boris Johnson, to build runways on the Thames River. You can easily see the same thing happening with space travel, while initially spaceports will sit well outside city limits, a democratisation of the process will result in a desire for quicker and easier access – especially if point to point travel becomes a reality. So watch out, your city could be twinned with another planet in the solar system sooner than you might think.